When formed, PETG is a transparent plastic sheet with excellent impact resistance and outstanding thermoforming characteristics. It is lightweight, yet also has a high impact strength. It can also be vacuum formed or thermoformed without pre-drying. PETG has exceptional thermoforming attributes for applications that require deep draws and intricate die cuts, without sacrificing structural integrity. PETG sheets can be cut, drilled, bent (cold or hot), and are easy to bond and glue. It also reduces sound emissions and is FDA compliant. PETG is an incredibly versatile material – a property that is often sought in an industrial material – and can be used in a wide range of applications both indoors and out. For instance, PETG properties include being sterile, so it makes it ideal for use as a covering or packaging in the food and chemical industries. It is also commonly used to manufacture point-of-sale displays used in a range of retail operations as well as consumer products such as sunglasses–demonstrating the breadth of applications PETG is used to produce. 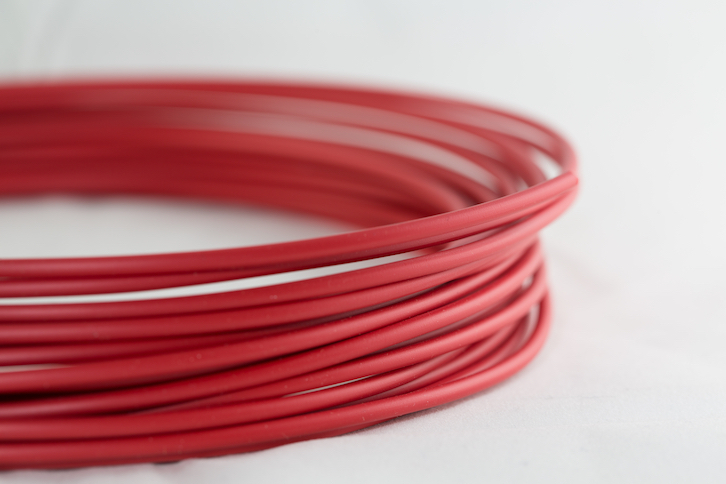 PETG is also fully recyclable, making for sustainable manufacturing practices. Given the growing number of regulations on recycling that industrial businesses have to abide by, as well as many businesses’ growing awareness of the need to be environmentally friendly, PETG makes for an excellent material. Thermoforming– PETG does not require drying before forming and has rapid thermoforming cycle times. It is brake formable up to 0.080″ thickness. Impact Resistance– PETG is less brittle than acrylic and is a lower cost alternative to polycarbonate. Chemical Resistance– PETG offers superior chemical resistance when compared with many other transparent plastics. PETG Sheet for O&P– is used where transparency is essential for evaluation interfaces, commonly used when fabricating face guards and check sockets where clarity and deep draw forming are required.